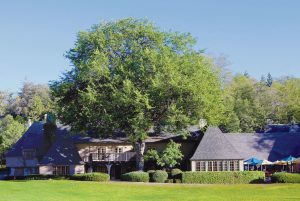 We will be meeting at the UCLA Lake Arrowhead Conference Center , a state-of-the-art full service retreat facility on the north shore of beautiful Lake Arrowhead. Meeting attendees will enjoy the fresh air and 42 acres of beautifully forested terrain tucked in the San Bernardino Mountain foothills (5000 ft.). The Lake Arrowhead Conference Center package includes upscale lodging (“condolet”, a combination condo and chalet), three chef-prepared meals each day (hearty breakfast and lunch buffet, and an elegant 4-course dinner), and all meeting services (including space, audio visual, high speed wireless internet, etc.). All condolets have 2 bedrooms, each with a queen bed and a private bathroom. The shared living room has a fireplace, and either a large deck with lake or forest view. In addition to the perfect meeting location, the venue offers an on-site fitness center, tennis courts, basketball court, jacuzzis, and jogging/walking paths through their awe-inspiring pristine wooded retreat. Lake Arrowhead Conference Center is about 15 minutes (4 miles) from the village of Lake Arrowhead – a beautiful historic tourist destination.